Myss Lafunky's Blog: Follow Me: Must I Follow Jesus? Myss Lafunky would like to welcome you to the month of October. It seems this year is going pretty fast. I am sorry for not publishing a post on Monday. My week has been hectic even though it's only Wednesday. I can only thank God for strength. I have created time to rest, I now feel better. 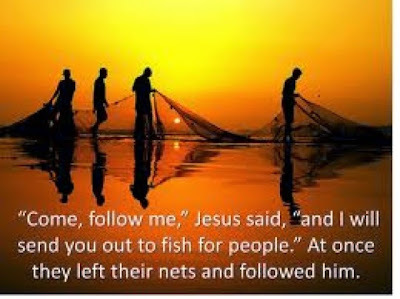 Can you picture Jesus coming along to you and saying, "Follow me?" How hard or easy would it be to drop everything and go? Would you literally drop everything for Jesus? Or would you procrastinate and tell Him to come back in a few years or months time before you follow Him? Imagine, if God spoke to you and your spouse to drop everything and to follow Him. Are you aware that Jesus spoke a similar command to Simon and Andrew? Did you know that they they dropped everything and went with Him? As children of God today, how life changing is His call to us, although the Lord may not call you to turn your backs away from your life's work or your family in order to become a Missionary. However, the term "Follow me" can be linked to numerous things. Would you seek God's views before you make that crucial decision? Would you remember what Jesus would do before you embark on disagreeing with your friend/spouse? Would you abandon your own plans, goals and dreams to serve and help somebody else because Jesus Christ directed you? Would you ignore your fear, worries and listen to what God says about you? Would you ignore your age and other people's past experiences and follow Jesus's principles? One could actually argue that, Andrew, Simon Peter followed Jesus because they saw Him in real life, therefore, they found it easier to obey Him than it is for you and I to obey. For us, the only way that we can know how we are to follow Jesus is through His Word (The Bible). Through giving our lives to Him, and telling Jesus to help us to live a life that is worthy. Also, Simon Peter and Andrew had each other, they both made the decision to follow Jesus. They supported each other. Do you have friends that are influencing you to follow Jesus's principles? Are you encouraging your spouse to follow Jesus by the way you live your life or through the decisions that you make together? The Word of God says that..Two are better than one because they have a good reward for their labour (Ecclesiastes 4:9). Are you ready to follow Jesus? Are you praying for your friends, relations, spouse, siblings, and colleagues to also follow Jesus in all that pertains to their lives? Jesus is calling you to follow Him. He loves you, Yes You! He cares, He wants to teach you the way to live your life. He wants you to reign with Him in Heaven forever when it's time. Do you need help in following Jesus? Please, contact trulymakingadifference@gmail.com or you can speak to a local Christian Pastor/Reverend in your neighbourhood or contact a local Christian group on Social Media. Father Jesus, I come to you today. Please, help me to follow you all the days of my life. Teach me what it means to follow you. Help the people around me to follow you. Amen. NB - Myss Lafunky has written articles for different Christian women's group. Recently, one of my articles was accepted by a Christian women's group, it's going to be published on 4th October 2014 CST. I will share the links with you all. Have a lovely week ahead. See you next week. I was indeed inspired by this post. 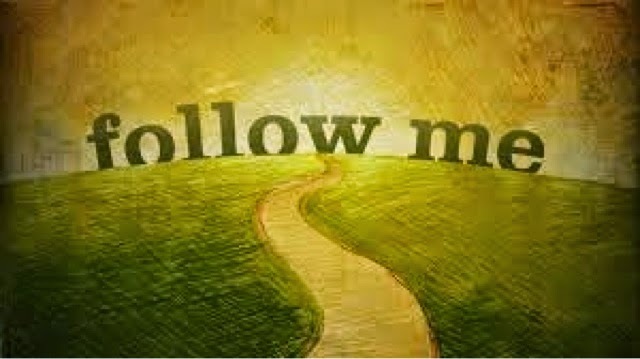 If Jesus said follow me, I wouldn't hesitate because I believe my life will be made. 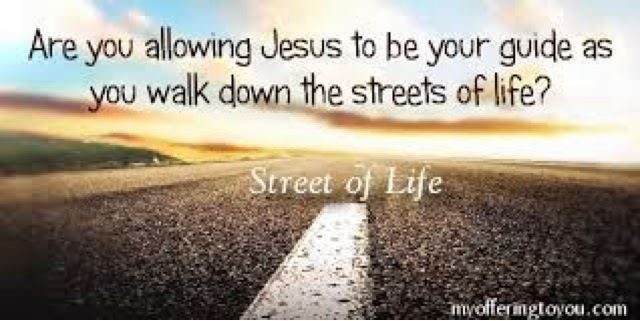 I know it's easy to say definitely I'll follow Jesus, but trials and tribulations sometimes makes you wonder where is this Jesus I'm following. However I can testify to various aspects of my life that I know that it couldn't have been possible without God. I take Jesus as my Lord and Saviour and believe that if He said follow me, certainly there's light at the end of the tunnel. From my understanding, with the help of the Holy Spirit, the Bible teaches me that I cannot be associated with Jesus and loose. The Bible also teaches me that Jesus is the way, the truth and the life...no one can get to the Father except through Him. If I cannot get to God without Jesus, why wouldn't I follow Him because I definitely want to get to The Father. Thank you for your comment. I'm glad the post blessed you. You are right, it's easy to say "I will follow Jesus." I believe it's about the 'doing'. How are we showing that we are following Him. Yes Yes!/ You are right, there's definitely light at the end of the tunnel when we follow Jesus. God's plan is not to harm His children. Your comment is very informative and it expands on the topic. Remember to pray for your friends, siblings, relatives and colleagues to also follow Jesus. Amen. Thank you for your comment. May the Lord continue to increase our understanding on what it means to follow Him. May we follow Him even until the end of our earthly race.